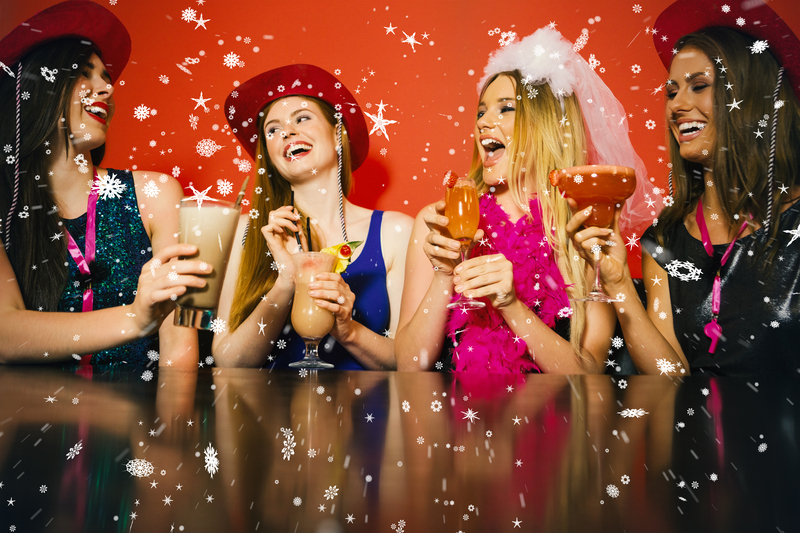 If you’re a part of the ultimate girl gang aka the bridal party, there’s only one thing you’re looking forward to more than the wedding itself, and that’s the hen’s night. Unlike those lucky Europeans who can take a short plane ride to a holiday destination for the weekend, us Aussie’s are a little more limited. Luckily for us, Melbourne is an urban destination of hen’s party dreams! In a city where exclusive restaurants and hotels actually double as nightclubs (seriously! ), and an empty doorway can lead to the best night of your life, prepare for a girl’s night on the town that you won’t forget for a very, long time. In a city as versatile as this, there’s something to suit every kind of bride and every type of bridal party. From private booths in luxurious nightclubs to a high tea with panoramic views of the skyline, you can literally have it all in just one weekend. When cocktails, male strippers and travelling in VIP limousines is on the cards then why, oh why would you go anywhere else? Set in Melbourne VIP’s favourite boutique hotel The Adelphi, head to Mon Bijou during the day or night. This Instagram worthy space offers an unforgettable experience since its set in a penthouse, high above the clouds. Posing incredible views of the city with its feminine yet fierce décor, this venue is one of the best places to start your Melbourne hen’s weekend. With the option to enjoy a first-class high tea dining experience with all of your girls, to a little later where you can spend your evening sipping on modern cocktails, it’s perfect for making your hens dreams come true! The best of both worlds under one, gorgeous roof. Baroq house, the perfect venue for you and your girls to… play. Featuring a number of exclusive rooms (with just as many bars! ), this nightclub offers luxurious booths, opulent table settings and a hidden outdoor area. Party the night in your own private booth with table service like an A-lister and enjoy the atmosphere of the nightclub that’s hidden within a 19th century cobblestoned laneway. A hidden gem, the mansion style building and incredible décor makes for one of the classiest hen’s nights a girl could ever wish for. If you and the whole girl gang are after a trendy spot that you probably won’t leave until the very early hours of the morning, Bond is the one for you. Located on the cities vibrant Bond St, your jaw will literally drop as soon as you set foot through the door. Golden, glitzy and glamorous, the amphitheatre setup makes Bond the modern-day Studio 54. Perfect for the wilder of hen’s parties, you can dance to live music and the cities coolest DJ’s. Whether you hire your own private area or party amongst the cities elite, you and your bridesmaids are in for a night to remember. Not sure where to host your hen’s night? Speak to an events planner at Collective Establishments for a tailor-made package party deal. Like we said, the possibilities are endless in a city that never really sleeps.